At ​Five Star Painting of Atlanta, our house painters are completely dedicated in providing every customer with top-notch professional painting at an affordable price and in a timely fashion manner. We are constantly striving to change the stigma that numerous of individuals in Atlanta have about professional painting contractors. We provide free estimates, and we are 100% committed to bring you the best painting expertise that you have ever experienced. As you might already be aware of, there a lot of individuals with pick-up trucks and paintbrushes who often call themselves professional painters, but you have to be extremely careful before getting involved with a person who has posted a painting service on Craigslist, as it can cost you a lot of valuable time and money in the long run. To help you avoid headaches, we want to share a couple of tips and guidelines that should highly consider before hiring a painter for your project. Before hiring anybody, make sure to check their Better Business Bureau (BBB) rating and complaint records. A painter who leaves a yard or home a mess and doesn’t come back for the necessary touch ups is more than likely to have a couple of complaints on the official BBB website. Never forget to ask a painting contractor how long he/she has been in business and how many jobs he/she has completed. At Five Star Painting, we have completed more than 40,000 projects in over a 10 year period. Try to avoid contractors that ask for full up-front payments. A company that has a good workmanship and that is financially strong will never ask you for a full payment on the spot. Until the job is completed and you are completely pleased with the outcome of your project, Five Star Painting will never ask you for a final payment. Before making any business with a painting company, make sure that they accept major credit cards. It is much easier to contest incomplete work or poor workmanship on a credit card than if you opt to pay by check or cash. Don’t forget to ask for written documentation. A painter with a good reputation will have material that proves his/her qualification and experience when it comes to this particular field. Our painting contractors are fully equipped with the skills that are required in order to liven up any space with a new hue of paint. Every painter goes through an intensive proofing and interview process; therefore, you can assure that every one of our painters are presentable and will never arrive late to your home or place of business without calling to notify you about it first. Have Knowledge About Painting Techniques: When it comes to exterior and interior painting, before hiring painting contractors, don’t be afraid to ask them what their techniques are. Professional painting contractors will more than glad to tell you the 411 on all of the methods that they use for projects. Respectful: Ensuring that the painter you are about to hire is both respectful and professional would be an ideal thing to consider in order for everything to run smoothly in your home or business space. 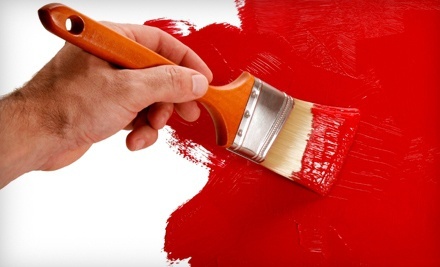 Clean: During and after a painting project, a professional painter will make sure that your business or home is clean. We at Five Star Painting in Atlanta only hire painting contractors that have a lot of years of experience under their belts. Our painting contractors in Kennesaw have certification and training to complete almost any painting project and are respectful, courteous, and they are, most importantly, honest. - Norris & Jean A.